We are offering Industrial Olets to our customers which are available in market with very reasonable price. These products can be customised as per our valued customers requirement and specification and are known for its long durability and long service life. 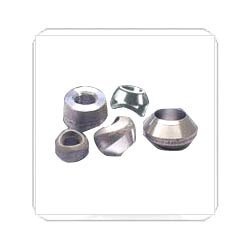 Customers can avail from us a wide and quality tested range of Nickel Alloy Olets. The products we offer are developed under the surveillance of experienced quality inspectors in tandem with international norms. Ideal for variegated industrial usages, these olets are known in the market for their precise shapes & dimensions, durability and resistance against corrosion. Further, we can also provide custom-built version of these olets to the patrons in tandem with the specifications laid down by the industry. With detailed knowledge of varied pros and cons of the market, we have been able to come up with a range of Carbon Steel Olets. The products we offer are developed employing latest machines and tools in accordance with industry laid norms. 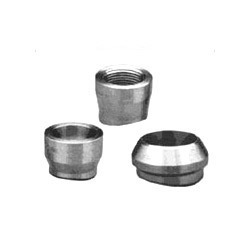 Patrons can avail these olets from us in various sizes, shapes and diameters in sync with their needs. Due to resistance against wear & tear, excellent finishing and rustproof construction, our products are widely applauded in the market. 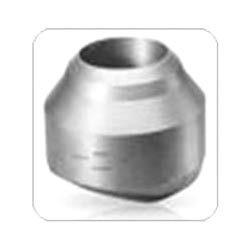 Standard: ASTM / ASME A/SA 105 / 350 LF 2. 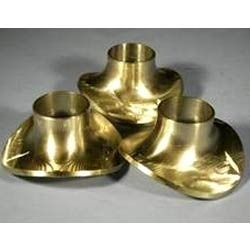 We are a prominent name engaged in offering an unparalleled assembly of Copper Alloy Olets. These copper alloy olets offered are available in a below standards and grades in accordance with the diverse demands of clients. 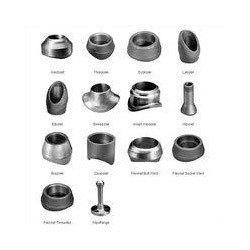 In addition to this, the offered range of olets is acclaimed among the clients for its high tensile strength, corrosion resistance, easy maintenance and durability. Grade: F 5, F 9, F 11, F 12, F 22 and F 91. Owing to the wide distribution network and immense experience, we are engaged in offering a wide range of Stainless Steel Olets. These SS olets offered are highly appreciated among the clients for their capability to withstand high temperatures and pressure. In addition to this, the offered range is appreciated among the clients for its easy installation, hassle free performance, dimensional accuracy, robustly constructed and high tensile strength.